Practicing and pursuing meditation boasts a plethora of health benefits, including creativity. According to the EOC Institute, meditation boosts creativity by improving self-confidence or self-efficacy while also soothing artist-related anxiety. It lets you be yourself, decreases vulnerability, encourage you to be kind to yourself and can ultimately alter brain activity for the better. Creativity is a must not just for artists and writers, but for everyone. The Huffington Post collected research and figures on the benefits of creativity for all, and found that in over 100 studies, creativity tended to “fill occupational voids.” Creativity kept negative emotions at bay while nourishing positives ones. Creativity improved medical outcomes, well-being, reduced stress and anxiety, and encouraged expression, social interactions and sense of self-identity. Meditation certainly isn’t the only thing that helps with this kind of mental well-being, but it may be the best. With so many positive attributes of meditation and creativity, why isn’t it a part of more people’s’ daily practice? Perhaps because meditation has a stigma around it, making some people think it’s pseudo-science (it’s not, numerous researchers have backed it up). Alternatively, many of us simply think we don’t have time for meditation or that it’s too difficult. Musical meditation. Have you ever zoned out when listening to music, seemingly on autopilot on the drive home or able to walk for miles without a thought to where you’re going? That’s a form of meditation. Music is a very powerful meditation tool, but yield it wisely. 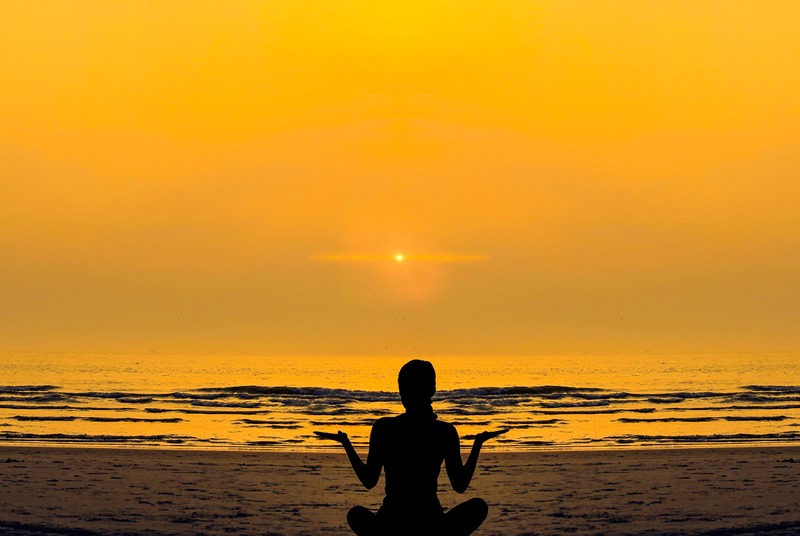 Whether listening to “music for meditation” or your favorite songs and artist, choose a selection to zen out to that makes you feel happy and positive. Candle meditation. If you struggle to keep other thoughts at bay when in a quiet space, focusing on the flame of a candle can help. Keep the eyes soft, half-closed, and focus intently on the shapes and movement of the candle. It provides a gentle distraction and can help shut out the competing noises in your head such as to-do lists and worries. Pranayama. A key part of a yoga practice, conscious control of your breath is a form of meditation you can practice anywhere and everywhere. Two popular and simple methods include four-part breath and two-part breath. Completely empty and fill your lungs with each exhale/inhale, and count equal breaths in and out for two-part breath. Four-part breath is the same approach, except you hold the counts between inhales and exhales, too. Pranayama is a form of meditation that also increases lung capacity while giving tertiary muscles like the scalene a mini workout. Few of us breathe “properly” and ultimately pay the health sacrifices for it. Meditation might not be what we initially think of with mental fitness, but it certainly falls in that category. True, you’re not playing a memory challenge game and there’s nothing tangible to show for it, but it’s one of the oldest and most effective of mental fitness exercises. Even better? It only requires a few minutes per day to reap the benefits.